Lowery Asset Consulting, LLC, recognizes and respects your right to privacy. We are providing this notice to you so that you will know what kinds of information we collect about our customers and the circumstances in which that information may be disclosed to third parties who are not affiliated with Lowery Asset Consulting, LLC. Account applications and other forms, which may include a customer's name, address, social security number and information about a customer's investment goals and risk tolerance. Correspondence, written, telephonic or electronic between a customer and Lowery Asset Consulting, LLC; or service providers to Lowery Asset Consulting, LLC. We may disclose all of the information described above to certain third parties who are not affiliated with Lowery Asset Consulting, LLC under one or more of the following circumstances. As Authorized – if you request or authorized the disclosure of the information. As Permitted by Law – for example, sharing information with companies who maintain or service customers' accounts and provide necessary and useful services in respects to their account. 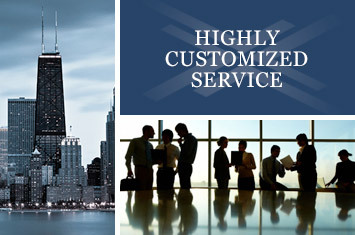 We maintain and require service providers to Lowery Asset Consulting, LLC to maintain, policies designed to ensure only appropriate access to and use of information about our customers and to maintain physical, electronic and procedural safeguards that comply with federal standards to guard non-public personal information of our customers. When information about Lowery Asset Consulting, LLC customers is disclosed to non-affiliated third parties, we require that the third party maintain the confidentiality of the information disclosed and limit the use of information by the third party solely to the purposes for which the information is disclosed or as otherwise permitted by law. We will adhere to the policies and practices described in this notice regardless of whether you are a current or former customer of Lowery Asset Consulting, LLC. If you have questions about this policy, please contact Sheila McDermott at Lowery Asset Consulting, LLC's Compliance Department at 312-759-2314. The Lowery Asset Consulting LLC website may provide links to other World Wide Web sites or resources for your convenience and information. These sites may operate independently from Lowery Asset Consulting LLC and may not be under our control. These sites may have their own privacy notices in place, which we strongly suggest you review if you visit any linked website.